Arming yourself with the right information will help you find the best penny stocks to buy now. Penny stocks can be spectacularly attractive investments. The market moves of penny stocks (those that sell at $5.00 per share or less) can be dramatic simply because increments like $1.00 price moves, which would be only a small portion of stock priced higher, are a much greater percentage of penny stocks' share prices. A $1.00 move is 20% of a $5.00 stock, but only a 2% move in a $50 stock. In addition, penny stocks often move dramatically with news. In just the first week of May, for example, shares of NovaCopper Inc. (NYSEMKT: NCG) jumped 60% after the company announced discovery of better than projected copper resources in an Alaskan site. However, what penny stocks create in wealth, they can also take back. The stocks are speculative investments, with volatility that investors should keep in mind when looking for the best penny stocks to buy now. 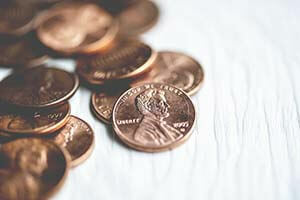 You should be comfortable with high-risk investments before you consider penny stocks as part of your portfolio. Nonetheless, many investors with high risk-reward tolerance do like to consider trading among the best penny stocks to buy now. Here are four tips to keep in mind if you go that route. Many tips about penny stocks are identical to the way all stocks should be approached. Know your investment well. Be able to say what the company's products are, how they are positioned in its markets, what the outlook is, and what the company's business plan is. So, look at the information the company supplies to investors carefully. Examine its balance sheet and financials. Most companies, even small ones, have a website with a section aimed at the investment community. To be traded publicly, they should have publicly available information. If a firm whose stock you are interested in isn't on the web, you can call or write for the information. If you can't find information, or the information seems very sketchy, or there's a reluctance to reveal financial information, be very cautious about investing in that penny stock. If it calls into question the long-term viability of the stock, do not invest in it. It's as simple as that. That applies to all stocks, not just penny stocks to buy now. Penny stocks trade on a number of exchanges: the New York Stock Exchange (NYSE), the Nasdaq, the Over-the-Counter Bulletin Board (OTCBB), and the Pink Sheets. However, when looking for the best penny stocks to buy now, it is wise to stick primarily with the major exchanges, the NYSE and the Nasdaq. They have stricter reporting requirements in terms of market capitalization and fiscal stability. To be listed on the NYSE, firms must have a minimum of 1.1 million shares and a minimum market capitalization of $100 million. To be listed on the Nasdaq, companies must have reported profits of at least $11 million in the past three years. Penny stocks in the past have been involved in scams, such as promotions or pump-and-dump schemes. Sticking to the major exchanges will also lessen the risk that the penny stocks are involved in scams. This advice, too, is a tip that is good for any stock, not only the best penny stocks to buy now. Many of the companies behind the top penny stocks today are engaged in creating innovative or cutting-edge products in markets projected to grow robustly. Those are the ones you want to choose. Penny stocks that have cutting-edge products often become attractive to larger companies once the products come to market. Any merger or buyout activity that stems from a successful product or technology can make a stock price soar. All investors should follow a prudent plan in allocating their investment classes within their overall portfolio. A conservative plan that allows for penny stock investing means no more than 2% of your portfolio in any single penny stock, for example. Overall, we suggest penny stocks remain a small amount of anyone's portfolio. Now, with those tips in mind, here is a penny stock to consider. For investors looking for cutting-edge technology and a growing market, Sweden-based Neonode Inc. (Nasdaq: NEON) was ranked one of Money Morning's top penny stocks to buy for March. The company is engaged in the creation of optical sensing technology that turns the surfaces of many technological devices into touchscreen-like surfaces. Its technology works with computers, monitors, laptops, GPS devices, e-readers, tablets, smartphones, and wearable tech products. NEON is slated to report first-quarter earnings on May 10. NEON's last quarter results showed an impressive 175.3% increase in revenue over the prior year period, spurred by increased demand. The company has reported very positive demand news this year. In January, for example, it reported that NEON sensing technology is built into Lexmark's latest generation CX800 series of color printers. In early February, the company rolled out its new AirBar technology, which adds touch and gesture sensing to existing and new personal computers. The product is user-friendly and can be used by plugging AirBar into a USB port. The company also has a pan-European distribution agreement with Ingram Micro Europe for AirBar devices. Interested in penny stocks to buy now in the energy sector? Download our free report: This Penny Stock Will Double Your Money — and Save a Dying U.S. Industry.